While IT folks would love all applications to be consolidated into one (and mammoth software vendors like Oracle are attempting just that (ie. many applications all based off the same database)), this is typically just a dream for many businesses. Yet, to realize a proper CRM vision or to retrieve a single view of a customer, you need more than just Data Quality, or business processes in line. You need proper integration between your operational systems. Or maybe it’s simply data exchanges that are required. Such as loading IMS Sales data into your DW, or sample shipments or expense data into your SFA or expense application, or loading Territory alignment data into your SFA application or Co-promotion partner activity data. Whatever the case, integration is the answer. From ETL work, to full-fledged middleware implementations creating an Enterprise Service Bus (ESB), we can get it done, and done right. 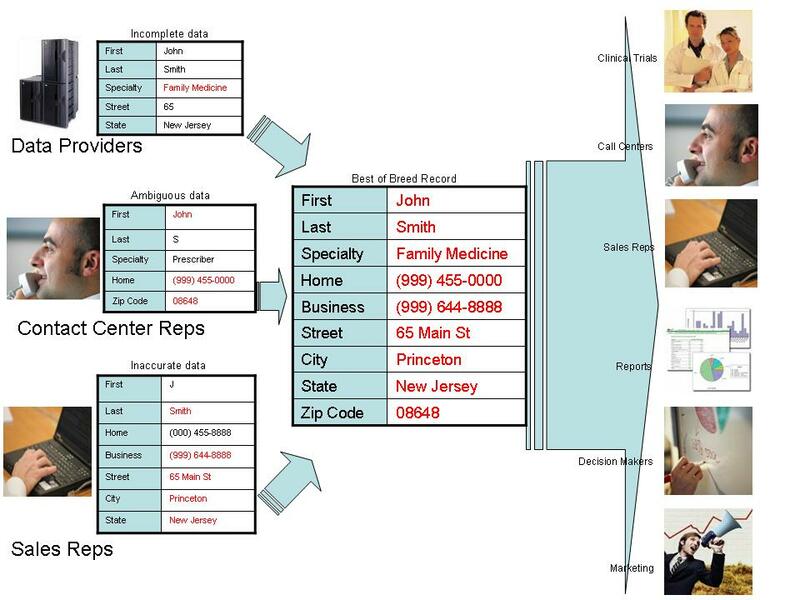 Data integration is not only about getting one application to talk to another. There is much more involved in a proper integration strategy. Foremost, there are the basics of course. Simply setting up an automated process to obtain data from your data source, load it into a temporary location, transform it, and then import it into the target system. This can be accomplished using database utilities such as SQL Loader, PL/SQL, Toad, or Informatica, possibly with the use of other tools such as an FTP client, or a Data Quality application. However, there are many other facets to integration such as error handling, real time or near real time integration requirements, service oriented architecture, and the use of common canonicals for data exchange. There are many tools out there to utilize, and we can handle any of them. You can have us build your own as well. Whether it is Web methods, TIBCO, Informatica or any other tool that is used for integration, we can achieve Real Time integration. We can create the various adapters for your applications to work with a Service Oriented architecture, where each application develops services to provide its data to everyone – once. There is no need for point-to-point development work. We attempt to use tools that store business rules, rather than hard coding everything. We create processes that are event driven, rather than manually triggered. Clients may require integration development as part of a ‘One off’ project, simply to get two applications communicating. More commonly however, we engage in larger scale integration projects, as part of CRM application implementations or upgrades. Integration can be considered in two different ways when speaking about Oracle Siebel applications. It can mean the classic term, for trading data between two applications, or, it can also mean embedding the actual applications. An example is when a CTI (Computer-Telephony Integration) application is embedded into Oracle Siebel, or when some other application such as a Data Warehouse (DW) dashboard is embedded into applets within the Oracle Siebel application. This is considered more as Application integration, rather than Data Integration, but both can be performed. Integration is a crucial piece of an MDM solution as well, handling the synchronization of data between the master data system, and all its subscribing enterprise applications. So whatever the project, you can be sure data integration will be required. Call in the experts, and ensure it's done right.